The new DreamMultimedia Twin DVB-S2 Tuner have a compact size, minimal heat development and low energy consumption: these are the features of the new Twin Silicon DVB-S2 tuner for Dreamboxes equipped with Enigma2. Fitted with the most modern technology developed by semiconductor expert Silicon Labs, the Twin Silicon DVB-S2 tuner expands the reception potential of the Dreambox. In addition, it is compatible with Goliath, the next Dream product. The new Twin Silicon DVB-S2 tuner is compatible with Dreambox models DM7080HD, DM7020HD, DM820HD and DM800HD se. In an instant, the compact single tuner Dreamboxes DM820HD and DM800HD se can be transformed into a powerful twin receiver. The new Silicon tuner will increase the potential of the DM7020HD to four inputs, and that of the DM7080HD even to five inputs. The Plug&Play tuner comes equipped with two DVB-S2 input sockets, and is simply inserted into the appropriate slot. The next time it is switched on, the Dreambox will recognize the new tuner automatically, and will configure it. Additional settings can then be made in the Dreambox menu. The new Twin Silicon DVB-S2 tuner supports all current standards, such as DiSEqC 2.0 or Unicable. 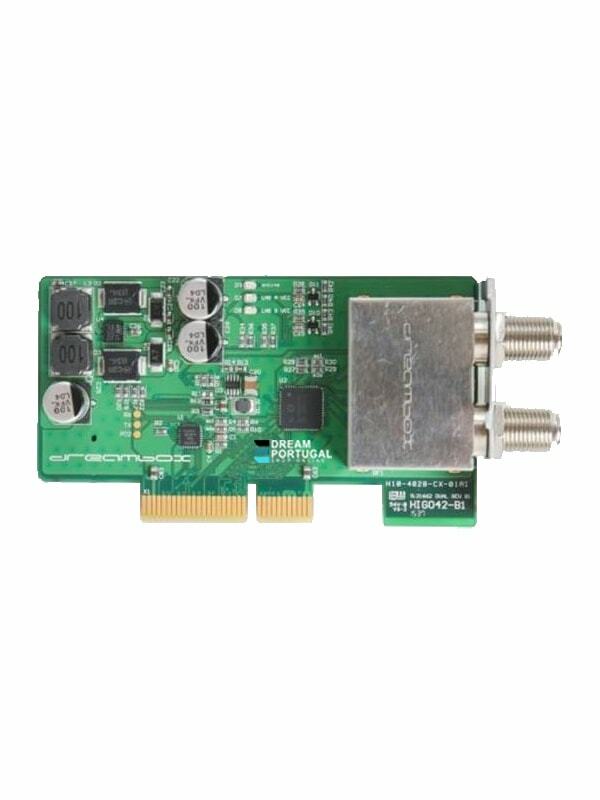 The new Twin-DVB-S2 tuner design by Silicon Labs not only allows you to perform a blind scan with the Dreambox, it will also perform channel scans at a speed hitherto unseen. Even if the tuner is supplied with TV and radio signals only via a cable connection, programmes can be recorded from a transponder, and others can be viewed at the same time. The Twin Silicon DVB-S2 tuner is compatible with Goliath, and provides a first preview of the power and performance of the project, which will by far surpass the current abilities of the Dreambox.